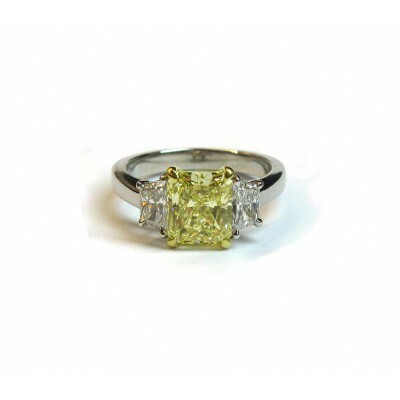 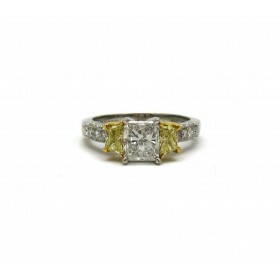 This beautiful engagement ring features a brilliant yellow radiant cut diamond flanked by two trapezoid shaped diamonds. 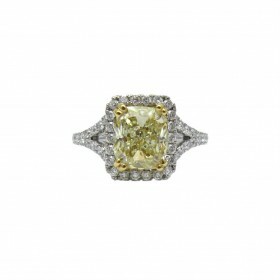 This classic arrangement beautifully offsets the center diamond's yellow color with bright white diamonds on the sides. 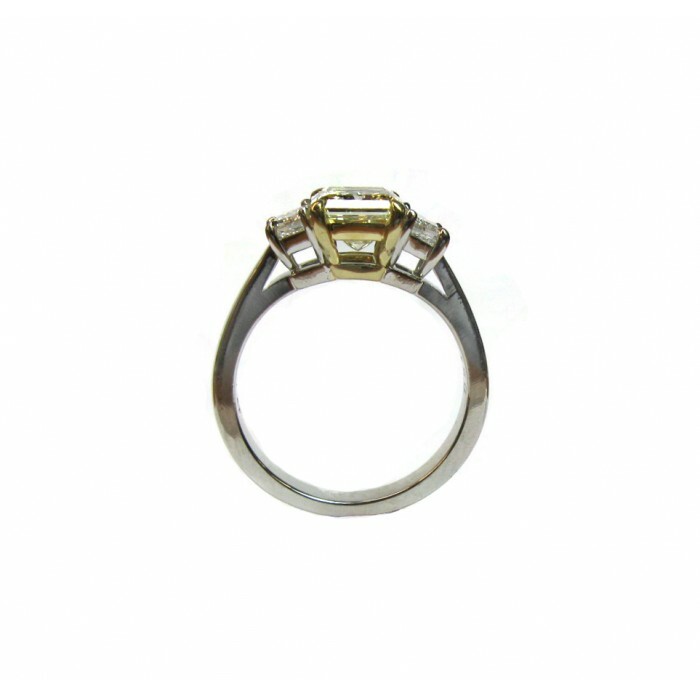 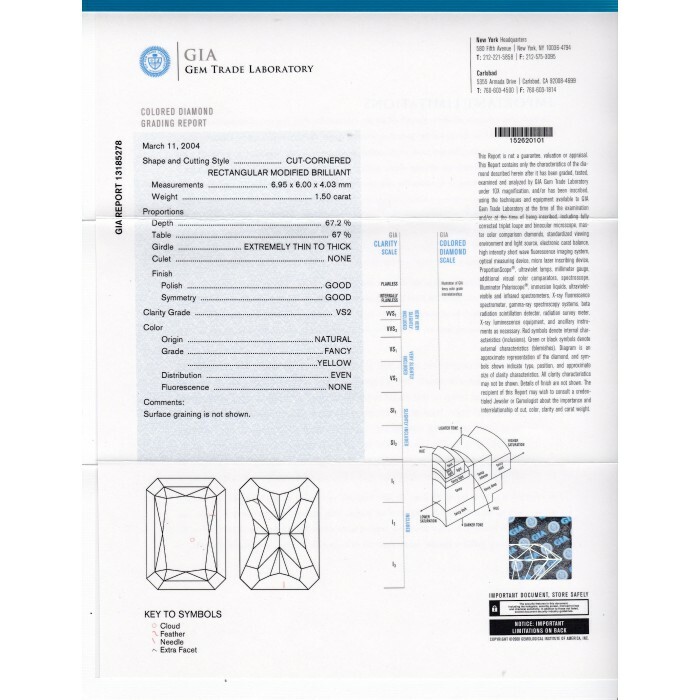 This is further enhanced by the use of two metals – 18K Yellow Gold and Platinum.